Pixelmator 3.4 for Mac is waiting for you, and now has full support for OS X El Capitan. In addition to Split Screen mode, Pixelmator’s new Photos extension has arrived — written entirely in Swift 2. 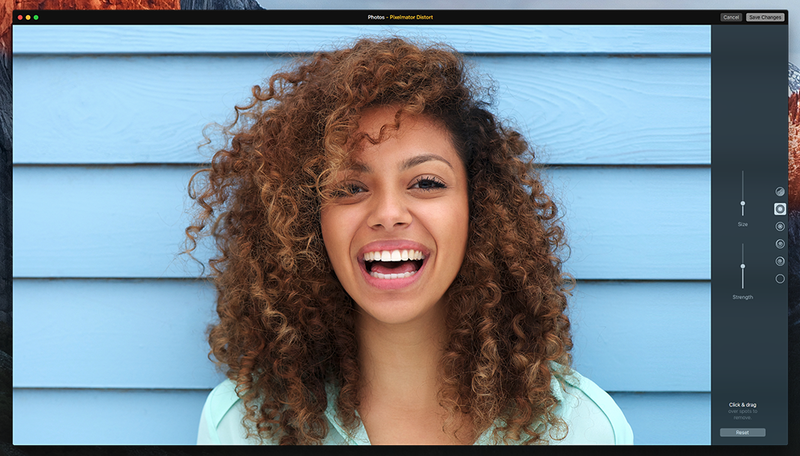 With the Photos extension, you can now bump, warp, pinch, twirl and restore photos with Pixelmator. It supports Force Touch for adjusting the strength of your distortion. Pixelmator’s extension is also based on Metal, Apple’s GPU technology that renders on-screen pictures and video (and edits!) faster. The extension was also built entirely with Swift 2. Elsewhere, Pixelmator’s new font is San Francisco, to make it look like it belongs on Apple hardware. The update is now live in the App Store, and if you don’t yet have Pixelmator, it’s $29.99.